Larger than its predecessor, it’s also much more spacious and flexible inside. 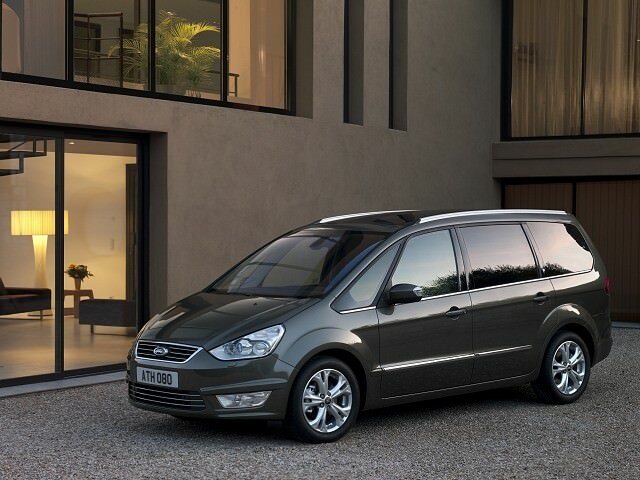 Unlike the previous model, the current Ford Galaxy is a standalone product, with none of the VW group involvement of the first generation. With the introduction of its smaller and sportier S-Max, Ford made the Galaxy larger than before in a bid to conquer new sales. There’s only one body style, but a range of engines and trim levels to choose from. With the original model launched in 1995, the current Galaxy took its time coming to market, eventually hitting the forecourts 11 years later in 2006. Larger than its predecessor, it’s also much more spacious and flexible inside. This model debuted the firm’s “FoldFlatSystem”, which means both the second and third row of seats can simply be folded into the floor without the need to remove them. It’s a clever system, and one that removes the need to lug around or store heavy chairs, but it does affect the overall load space when in use. As you’d expect from Ford there has been a wide choice of engines available throughout the Galaxy’s lifetime. Currently there’s only one petrol option, a 2.0-litre EcoBoost unit with 200hp, but previously there was a naturally aspirated 2.0-litre with 140hp. A much better choice is afforded by the diesel models, which range from 1.6- to 2.0-litres and have between 115- and 160hp - there’s also an older 1.8 TDCi unit that had 125hp. Most cars are manual, but there are a few automatics on the used market as well, the latest featuring Ford’s excellent Powershift transmission. Depending on the year, Ford offered LX, Zetec, Titanium and range-topping Ghia trims. First of all don’t bother with the Titanium or Ghia models, unless you value having a family people carrier filled with gadgets and mod cons. For most the Zetec will have enough toys, and their lower used price makes them more attractive too. Avoid the older 1.8 TDCi and find a newer common rail 2.0 TDCi, either the 140- or 160hp models will suffice - just don’t pay much of a premium for the more powerful version. And if you can stretch to a 2010-onwards model you might even find yourself one of the facelifted cars, which will retain its value much better in the future. The Renault Espace may have been the original MPV, but for many the Ford Galaxy took that theme and ran with it to become the best of the bunch. Bigger and better built than many rivals, with a wide diesel engine choice there is plenty to like. Only the relatively high running costs count against it.